The goal of this is to design a simple watch made from a single PCB and a watchband. 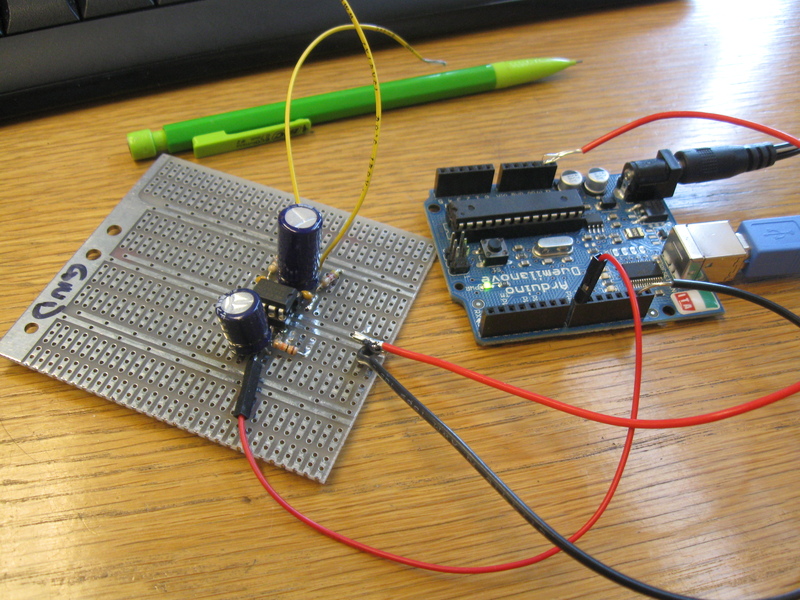 In this initial version the time will be told using an RGB LED to tell an approximate minute time in color, and 4 LEDs to tell the hour precisely in a binary encoding. Previously, I was prototyping the Artemis Synthesizer and documenting some early design decisions: "Artemis Synthesizer 1 - Testing the TDA2822 Audio Amplifier", "Artemis Synthesizer 2: Interfacing with the MCP4921 DAC" and "Artemis Synthesizer 3: Basic I/O with Buttons and LEDs". 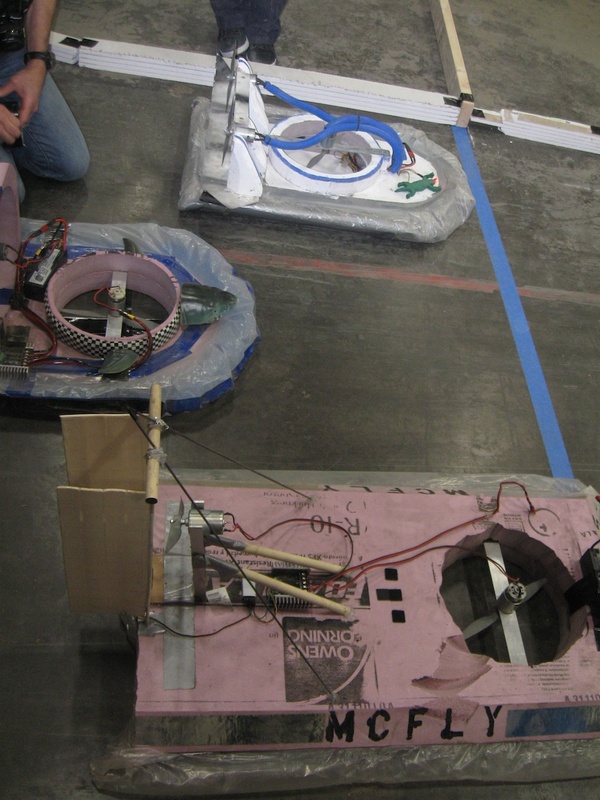 All of this prototyping was being done for the production of a kit for the Artemis Project. Now the kits were made and built up by 24 rising high-school freshmen involved in the Artemis Project, a women in technology initiative at Boston University. So how did it go? Well, after the jump you will find out, as I inspect the timeline of the project and the two days we had with the students! In my previous two posts "Artemis Synthesizer 1 - Testing the TDA2822 Audio Amplifier" and "Artemis Synthesizer 2: Interfacing with the MCP4921 DAC" I talked about the Artemis Project and my involvement in making a synthesizer kit for them. At this point the schematic is done, PCB layout is complete and I am almost done writing the firmware. 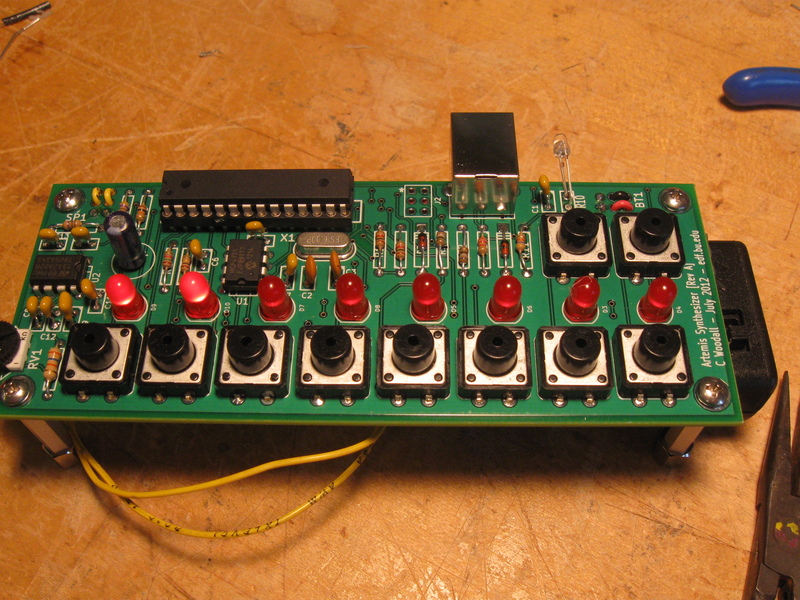 Before doing a full write up of the final version, I figured I would write up some of the basic design decisions for the Buttons, LEDs and how I chose the volume control resistor and potentiometer values. 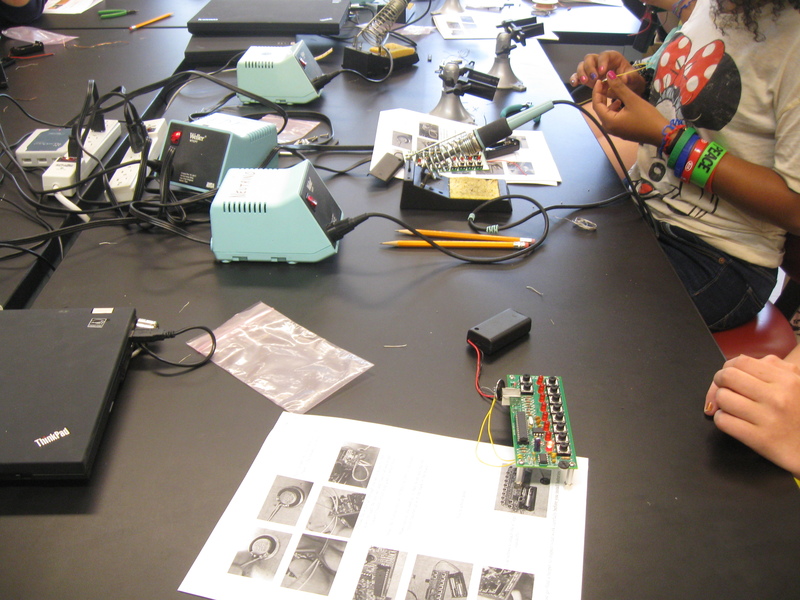 For Boston University's Artemis Project the BU Electronic Design Facility (EDF) offers a two day session where we teach the students how to solder, solder up a kit and then do some embedded programming, traditionally on 8-bit AVR microcontrollers. Usually the project is a variation on the POV toy, which you see around online all of the time as a beginner electronics project. However, we decided to deviate from our traditional path this year and create our own synthesizer kit, with an SPI DAC, Audio Amplifier, Microcontroller and some buttons. There is also a possibility for programming in new wave forms via an optical link with a computer (post coming soon). To give a good overview of the whole project I plan on doing a write up on each part of the project as I go along. 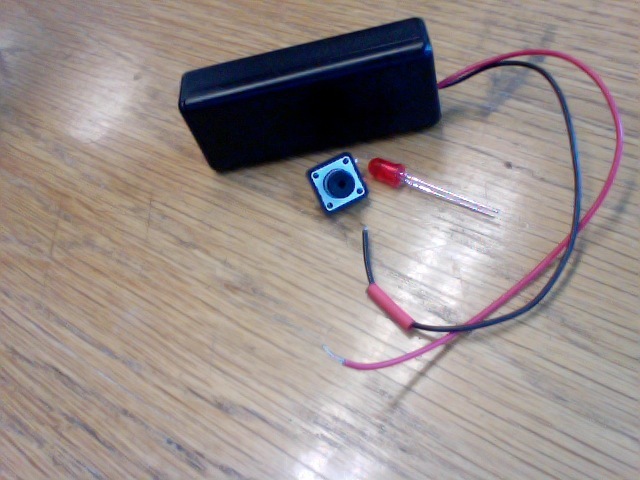 First up lets check the constraints of our Audio Amplifier and see if we can get it working in an appropriate way. The amplifier we are using is a TDA2822M and is a dual audio amplifier. We are not driving a stereo channel, so we will be using the TDA2822M in a bridge configuration inorder to both push and pull on the speaker dramatically increasing the amount of power we can drive through the speaker. In the beginning we were given the electronics, a piece of pink foam, some wood and access to most of the tools in Artisan's Asylum. There is no real documentation from either my group's design, or the other BUILDS group's design; however we certainly had a ton of fun and we have pictures and videos. Also, it was my first time helping design a Radio Controlled vehicle and it was a ton of fun (which I hope to do again). 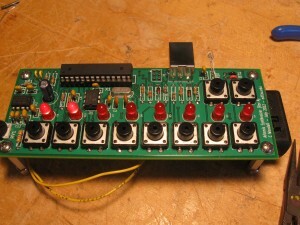 Nomis is a Simon-like memory game for the ATTiny85, which uses the ATTiny85. The game logic in the ATTiny85 was implemented using AVR C and takes up 983 bytes in program memory and 6 bytes in data memory. The implementation size comes in under 1kB, but could most certainly be smaller. The pin usage, however, is very conservative and the games electronics take up a total of 4 of the 6 available pins. 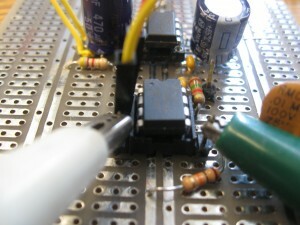 The 4 LEDs are controlled on 3 pins using Charlieplexing model (which could easily be extended to 6 LEDs). On the other hand the 4 pushbutton switches are feed into an ADC input through an R2R ladder configuration. I am very happy with the limited pin usage of this project. The gameplay of Nomis is the same basic scheme as Simon. 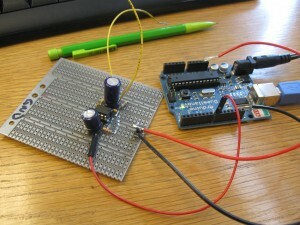 Which is to say once you initiate a game with it the game logic generates a random move, which lights up one of the 4 LEDs. Then Nomis waits for you to copy it. Each consecutive move is stored in an array and the string of moves must be copied exactly by the player. The game has no real ending conditions; however, the maximum number of moves is 100, but even then that limit was arbitrarily set by me. With a sufficiently large slice of memory and an extremely skilled (or cheat prone) individual the game could last forever. That said, the goal of the game is to best your previous score, which you keep track of by yourself.